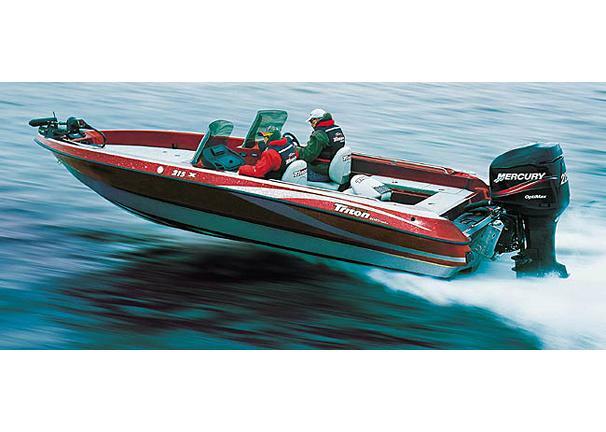 Boat Description Whether you troll for walleye, use downriggers for trout and salmon, plug for bass or muskie or fish bait for these and other species, the 215 can handle any assignment. Spanning 215 with a 94 beam, its perfect for tournaments on big, rough waters, yet it will still fit in most garages. The Triton 215X features huge rod lockers, 50 livewells, baitwells fore and aft, organized tackle storage, and a full menu of windshield and console configurations to choose from.